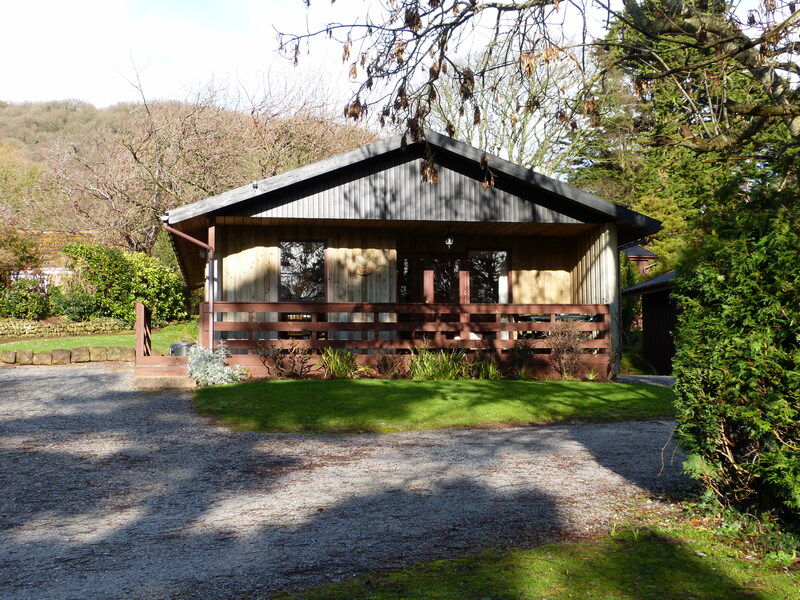 Self Catering Holiday Lodge - Sleeps 4 to 5 with views over Exmoor, Somerset. 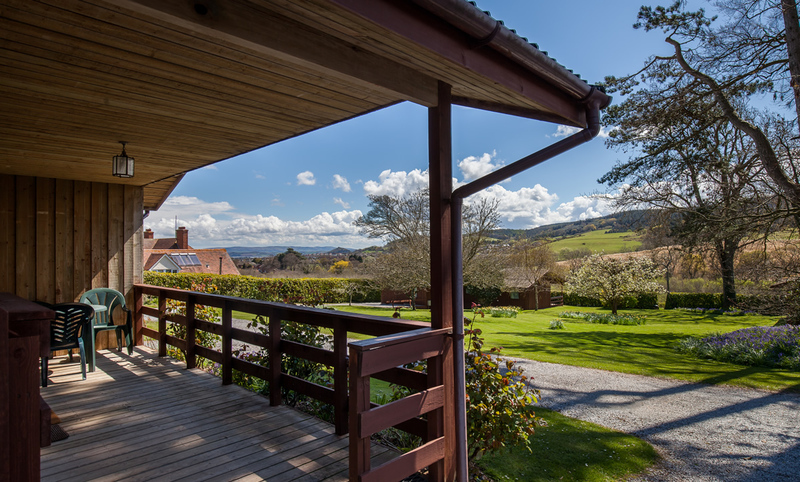 Cherry Tree Lodge sits back on the site with lovely views over the open grass area across the valley and down to the sea. It has a wide covered veranda with tables and chairs to enjoy open air dining or just the peace and tranquility of the area. 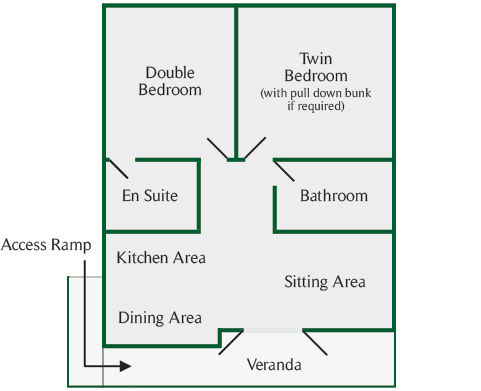 The verandas are positioned to give a good level of privacy. 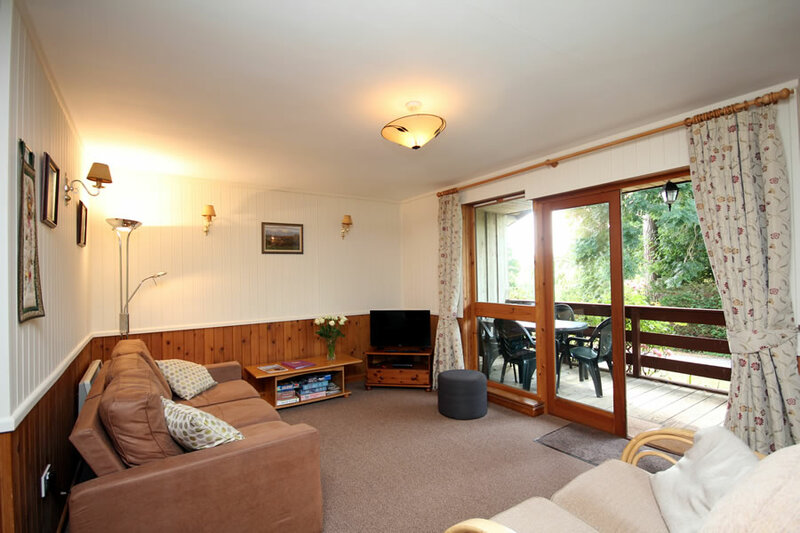 This self catering holiday lodge is fully equipped to provide an excellent holiday location for four to five people with the added benefit of separate bathroom facilities for each bedroom. The Lodge is wheelchair accessible with access to both bedrooms but not the ensuite shower room to the double bedroom. 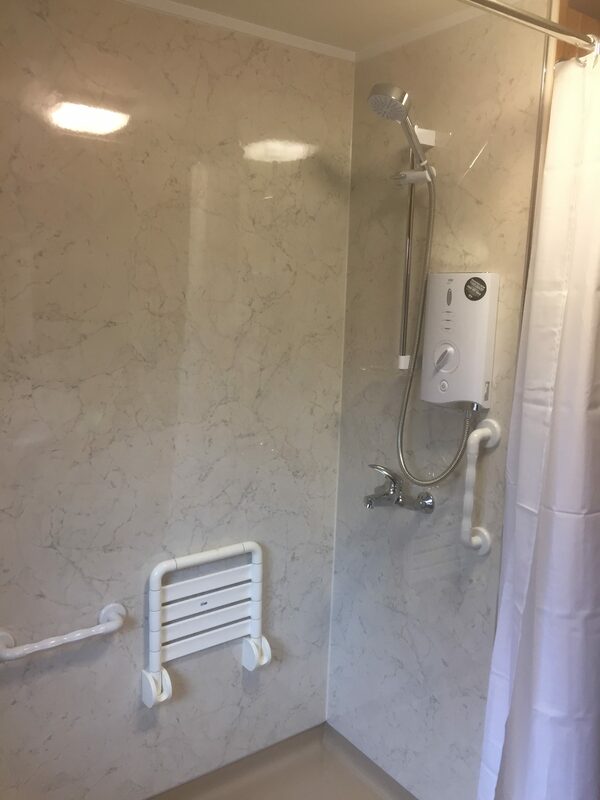 The accessible main bathroom has been converted to a shower wet room with shower chair from 2019. A baby bath is available if required. 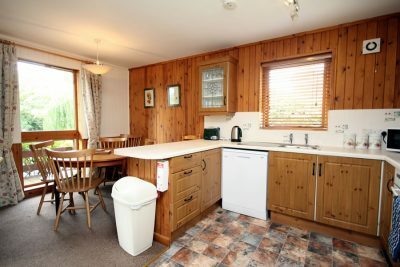 The kitchen area is fully equipped for self catering with full size cooker, hob, fridge freezer, dishwasher, microwave, kettle and toaster and a full set of kitchen utensils, saucepans and ovenware. The dining area is set at the front of the Lodge on the far side of the breakfast bar with lovely views through its full length picture window and is based on a round table capable of seating up to seven. The sitting area has comfortable settees and a chair with French windows opening onto the veranda which gives beautiful views overlooking the slopes of Exmoor. 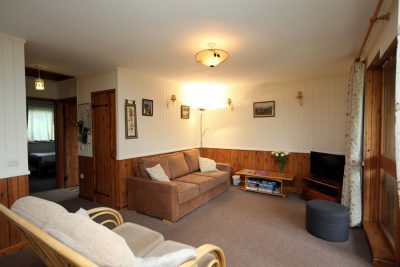 There is a flat screen television provided plus DVD player and free WiFi available. 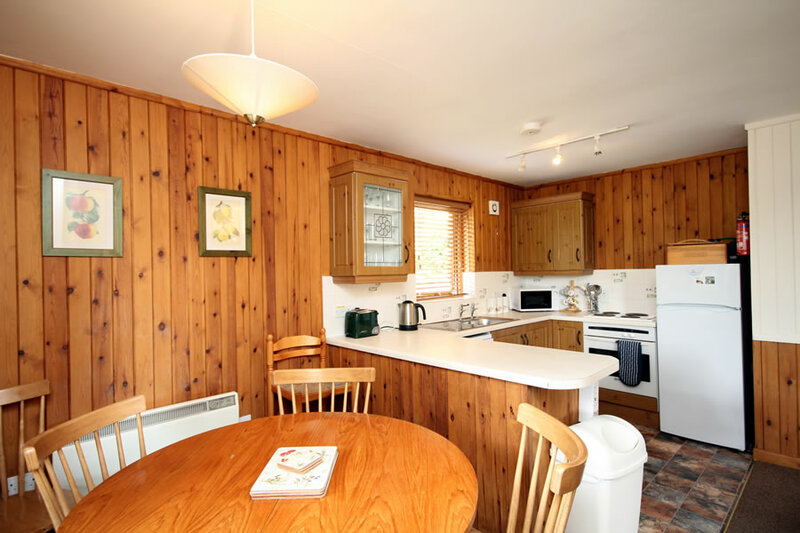 The Lodges are open all year and Short Breaks are available from October to mid June. Cherry Tree Lodge consists of a double bedroom (5ft King Size Bed), with en-suite shower room, toilet and basin plus a twin bedded room with a pull down bunk bed (suitable for a child) if required. 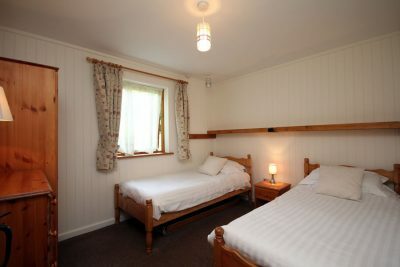 King size bed and en-suite shower room. The bedroom is wheelchair accessible but not the shower room. Pull down child’s bunk bed across the head of the beds (1). 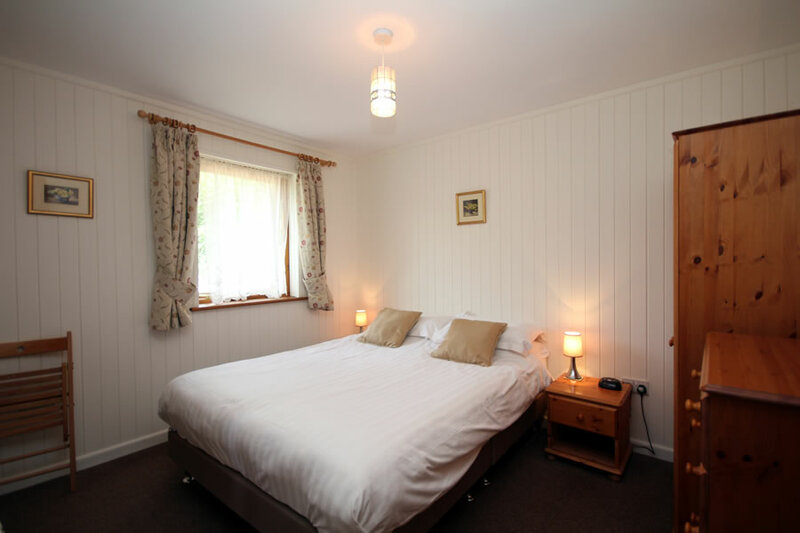 The twin room is fully wheelchair accessible. 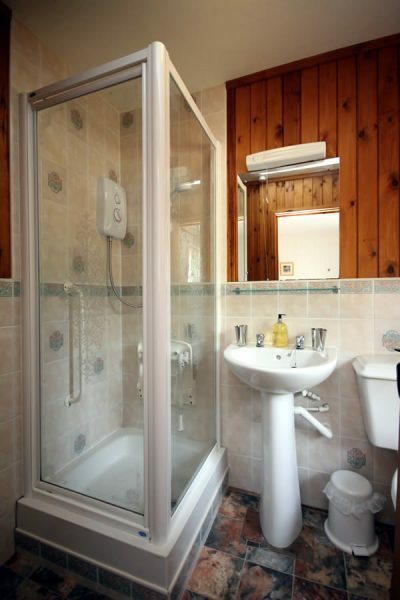 The main bathroom is a shower wet room with shower chair, toilet and basin. 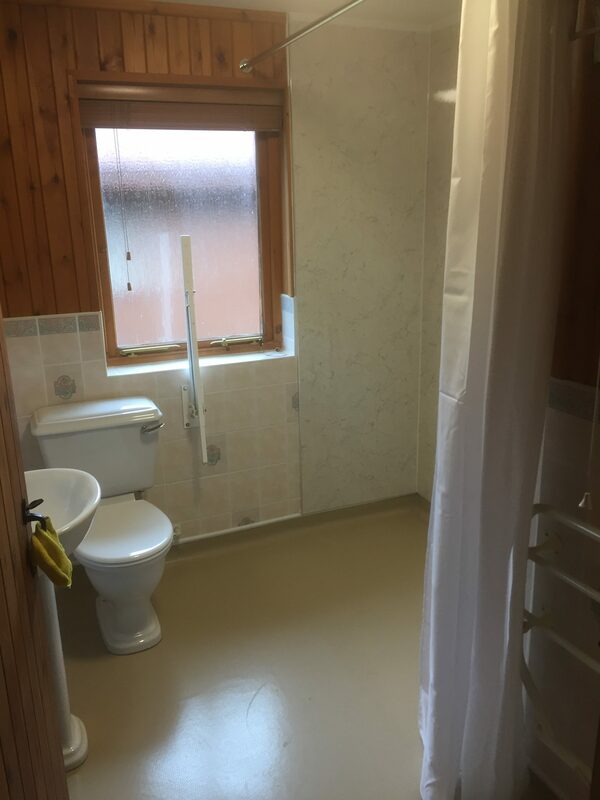 The bathroom is fully wheelchair accessible but the ensuite shower room is not.